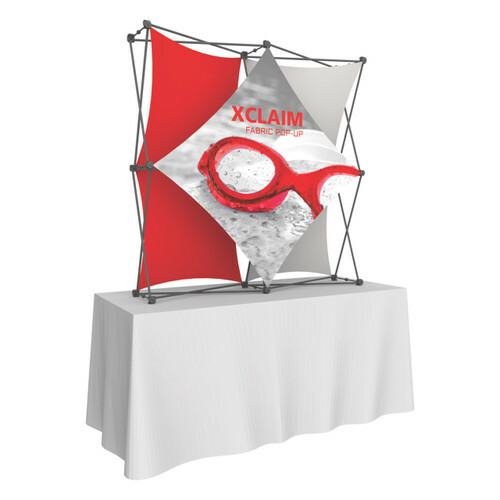 The Xclaim is a versatile stretch fabric pop up display system that can add dimension to your event or tradeshow with unique, exciting graphic styles. 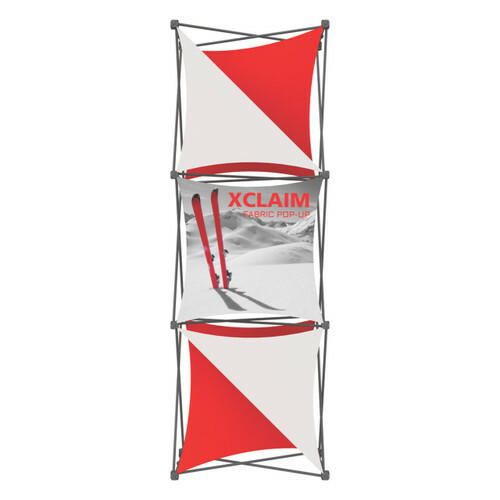 XClaim products are extremely easy to setup, as well as lightweight and portable. 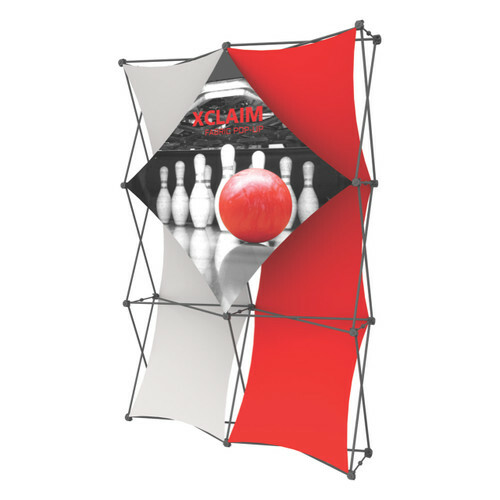 The collapsible pop up frame is fully magnetic, and the linking connectors make it simple to assemble and disassemble. 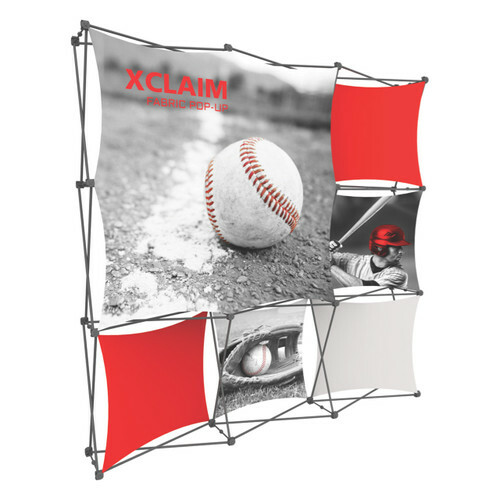 Stretch fabric graphics come pre-attached to the frame, making assembly even faster. 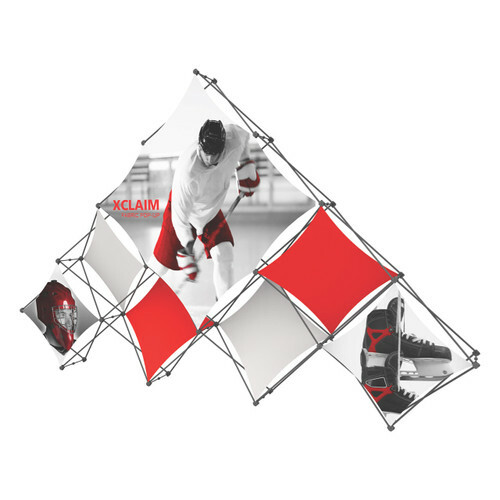 Graphics adhere to the hubs using push-fit attachment technology and every kits come with graphics, frame, and a drawstring carry bag. 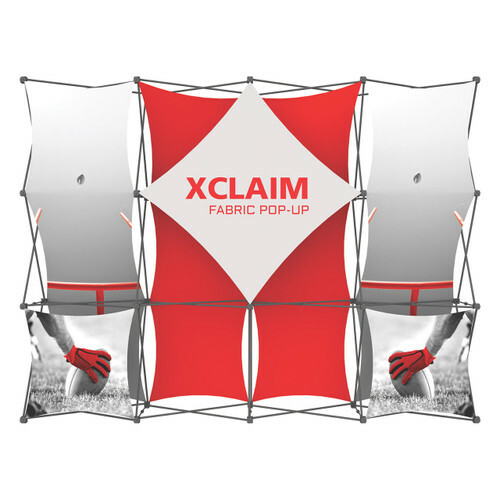 Our Xclaim kits are available in 29 configurations, so you can choose one that’s the perfect size and price for your business. 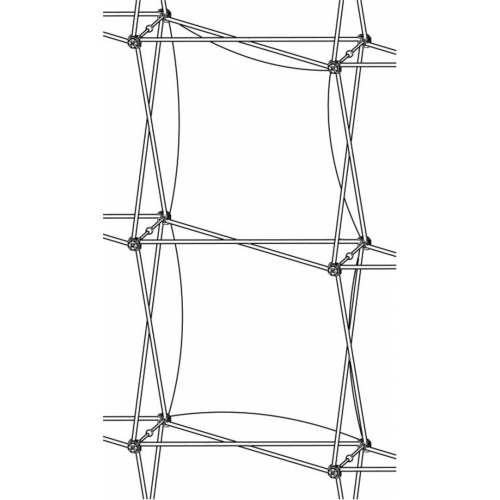 We have tabletop kits, pyramid displays, and full height kits in three, five, eight, and ten foot configurations. 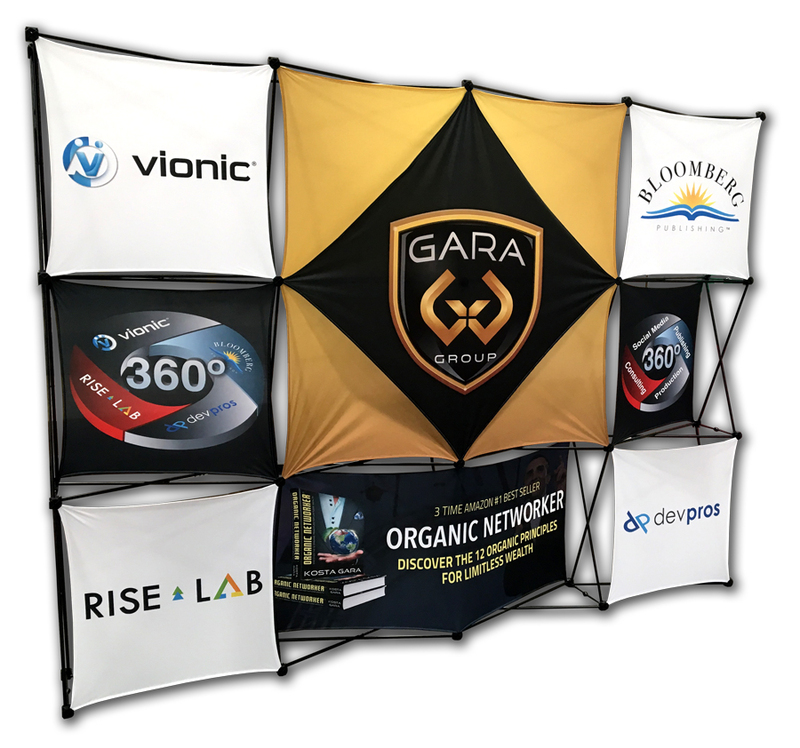 You’ll be able to set up and tear down quickly, giving you more time to interact with attendees and tell them about your business.